In partnership with Health Fair, SSM Health Care will utilize a mobile clinic that will travel around the St. Louis area approximately 16 times per month. Screenings range from basic biometrics to cardiovascular. Being proactive about cardiovascular health is generally considered to be a good thing, however, these types of screenings have the potential for doing more harm than good. First off, individuals should recognize that this service is being offered by hospital systems solely for the purpose of getting more patients into their system for further testing and procedures. Secondly, the service is being performed by a “mobile clinic.” These types of mobile clinics typically exist to make as much money as they can. Quality control is not one of their goals. They seek high volume , rapid throughput and minimal expenses. The mobile clinic is most likely utilizing the cheapest equipment, technicians and interpreters of these studies that they can get. Cheap equipment and inexperienced or poorly trained technicians are more likely to yield studies which are difficult to interpret or introduce errors and artifacts. Artifacts in an imaging study are images which appear to be abnormalities but are not. The more artifacts in a study, the more inappropriate subsequent testing will most likely be performed. One of the tests offered in this package is an ultrasound of the heart or echocardiogram. The echocardiogram is a brilliant technological development that allows us to image the structure and function of the heart. Abnormalities ranging from weakness in the pump function of the heart to leakage from the valves can very accurately be diagnosed with echocardiography when it is done right. I have devoted a large part of my career to studying, writing about and insuring quality control in echocardiography and I have seen first hand many misdiagnoses made in the hands of the inexperienced, shoddy, greedy or unscrupulous. Let’s consider the many ways a poorly done or interpreted echocardiogram can lead to more harm than good. In addition to imaging the structure or anatomy of the heart, during an echocardiogram a technique called Doppler allows us to measure the direction, velocity and location of blood flow within the heart. Doppler, developed in the 1980s, allows us, among other things, to see if the heart valves are doing their job of allowing blood to move forward while preventing back flow. In many normal individuals, a small or trivial amount of back flow (called regurgitation or insufficiency) can be noted. The honest, experienced cardiologist will recognize this as normal. However, if the study is performed ineptly and misread, a normal individual could be mislabeled as having a significant heart valve problem leading to unnecessary stress and anxiety and the potential for additional inappropriate and potentially dangerous testing. “Material misrepresentations” amounting to “pervasive fraud” drove 70% of the serious claims that were found payable by the Wyeth trust fund, says Joseph Kisslo, a court-appointed cardiologist who reviewed a sample of 1,000 echocardiograms in late 2004. “Thousands of people have been defrauded into believing that they have valvular heart disease when in fact they do not,” Kisslo said in a report he wrote for the trust. I saw a number of patients who had been identified by these shoddy echocardiograms as having significant valve problems and were convinced they had serious heart problems. After I obtained and reviewed the echocardiograms I was able to reassure the patients that their hearts were normal. The echocardiogram is our premier tool for looking at how the main pumping chamber or left ventricle (LV) is working. A left ventricle that is not functioning properly leads to heart failure. The LV fills with oxygen-rich blood from the lungs when it is relaxed (diastole) and then contracts (systole) and pumps the blood out into the aorta and to the rest of the body. Precise and well-made recordings and measurements of the blood flow during diastole allow the knowledgeable cardiologist to interpret how well the heart is functioning during diastole. Similarly, recordings of the LV allow interpretation of function during systole. Misinterpretation of both the systolic and diastolic function of the heart are common in echocardiograms that are done by inexperienced sonographers and/or cardiologists. Due to various technical factors (outlined in detail here), a normal heart imaged by echocardiography may appear to have an abnormality. These artifacts are more likely due to poor quality equipment and inexperienced or incompetent sonographers. The more experienced the cardiologist reading the study, the less likely that these will be interpreted as pathology. I have encountered numerous examples of what are normal variations of the heart anatomy or artifacts read on echocardiograms as possible tumors or clots or masses within the heart. Patients invariably end up getting unnecessary testing or surgery when such misdiagnoses are made; they also experience unnecessary stress and worry. If you are undergoing an echocardiogram, whether it be for screening which I (and the American Heart Association and the American College of Cardiology) do not recommend or for an appropriate indication (see here for appropriate indications), then it is in your best interest for you to make sure that the test is done and interpreted optimally. Ideally, your test is being done by a sonographer who has undergone a recognized training program and is credentialed as a Registered Diagnostic Cardiac Sonographer (RDCS by the American Registry of Diagnostic Sonographers) or a Registered Cardiac Sonographer (RCS by the Cardiovascular Credentialing International). Your echocardiogram should be done in a facility which has been certified by the Intersociety Accreditation Committee for Echocardiography (ICAEL). This will insure that the equipment, personnel , reports and interpretations are meeting minimal standards and that there is in place an ongoing program of quality assessment. Your echocardiogram should be interpreted by a cardiologist who has undergone appropriate training in echocardiography and is staying up to date with the latest technology and information in the area. ICAEL certification of the lab will verify this to some extent. Even better, is a cardiologist who is Board Certified in Echocardiography. 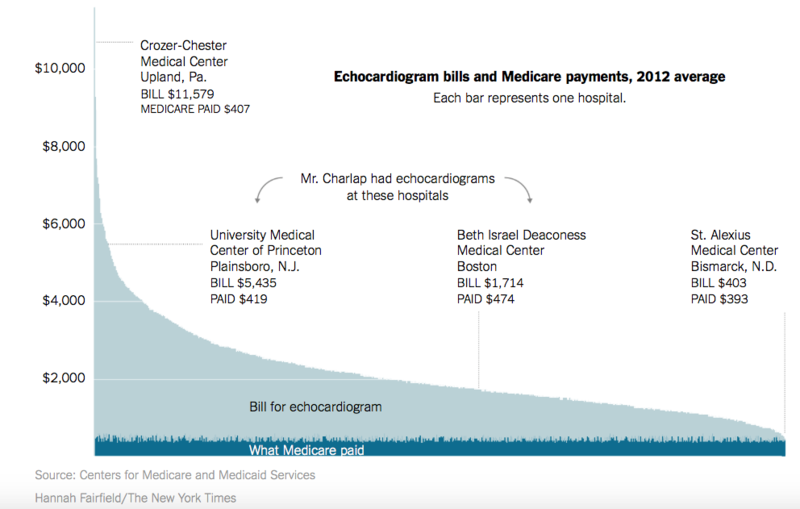 In summary, don’t pay for an echocardiogram done by a mobile lab as part of a cardiovascular screening program no matter where it is performed or who is promoting it. Although you may think you are being proactive about your health, chances are you will be more harmed than helped by the outcome.